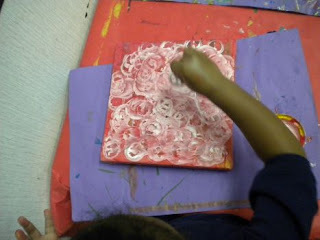 Working together to complete an art project for our Holiday gift basket. 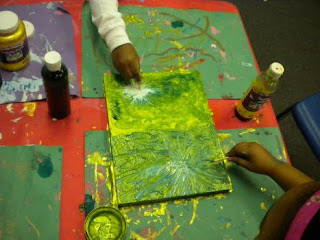 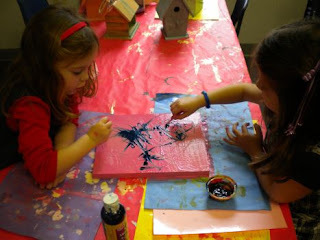 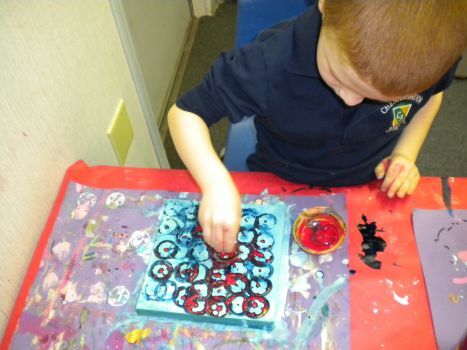 The students experienced freedom in choosing colors and techniques to complete their artwork. 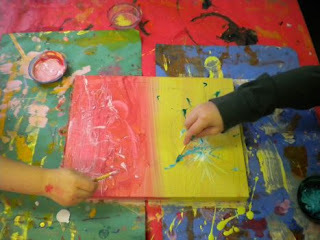 Collaborating and discussing the different methods of applying paint on a wooden surface.